Hello Hair is one of those brands that have become instagram famous and as such it's near impossible to try and avoid hearing all about this product in your feed. 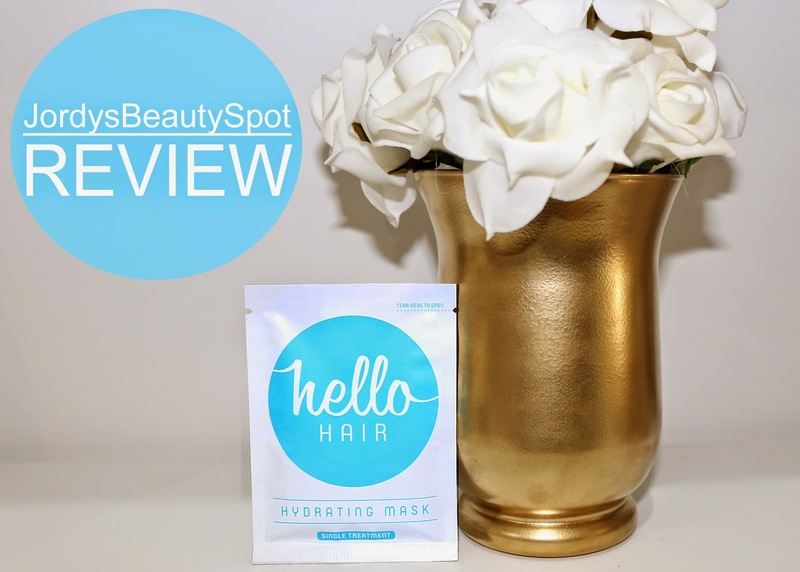 I received a sample of the Hello Hair Hydrating Mask in my Beginning Boutique goodie bag and was excited to give it a try to finally find out what this product is all about as well as be able to share my thoughts on this product with you all. A hydrating treatment which uses the benefits of Coconut, Argan and Almond Oils. Say goodbye to dry, stressed out hair, and say hello to hair that feels revitalised! I apply this product to dry hair and leave it in for about an hour or so before washing it out. You have to make sure that you shampoo thoroughly because the oil can definitely leave a residue in your hair. Considering the ingredients are primarily oils, this product unsurprisingly has an oily consistency that leaves a residue on your hands. I definitely noticed that my hair was softer after using this treatment but also note that you have to heavily shampoo to get the product out of your hair. Coconut, Almond, Argan, Olive and Castor oil as well as Olive Leaf Extract. It's $15 for 100g of product. I estimate that you would get about 10 uses for long hair and 15 uses for short hair so at less than $1 per use I would say that the price is very reasonable. Lastly, a few things about Hello Hair that I found great is that they are 100% natural and vegan friendly as well as Australian made and owned. So would I recommend this product? Definitely! I feel like it effectively moisturises and nourishes my hair and is a great hair mask option not to mention that it's quite an affordable product. I bought this after watching Karissa Pukis review it. What a fantastic product! I have chin length hair and find if I solely use it on the mid lengths to the ends of my hair I can get far more uses . My hair is bleached and it leaves my hair feeling so soft & healthy looking. Definitely a must have product for me. Would just like to point out that as stated on the website, a sachet of this hair mask can be used approx. 4 times if you have long hair, not 10. Actually if you only use it on your ends and mid lengths, you get way more uses out of it than what is mentioned on the website. I have very long hair and have gotten two uses out of my one packet so far. I'm putting it from root to tip.